FORMER Health and Child Care Minister Henry Madzorera has landed his support to the cause of striking doctors who have been bashed and labelled as insensitive to the cause of patients by Vice President Constantino Chiwenga. Junior doctors within the country's public hospitals downed tools beginning of this month to press for US dollar wages and the constant supply of essential medical gear to use during their day to day duties. Their job action has been ruled illegal by the country's labour court. Government, through the Health Services Board (HSB), has moved to suspend them while threatening further punitive action against each one of them. 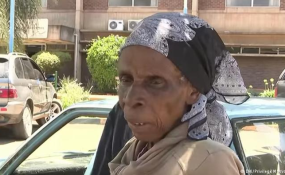 But Madzorera, who served in the Zanu PF-MDC unity government that presided over the country's affairs 2009-2013, said the medical staff had legitimate demands and should be motivated to work as opposed to being threatened. "Doctors and nurses are not welfare workers. They have families to feed. They must lead decent lives," said the ex-MDC legislator from his Kwekwe base weekend. "When government is saying doctors must prioritise life, it must be cognisant of the fact that doctors must prioritise theirs first before that of their patients. That way they will be able to deliver." Madzorera was cabinet minister during arguably the most stable era since the onset of the country's economic turbulence at the turn of the century. During the time, Zanu PF was quick to grab security ministries and those that gave it room to consolidate power while coalition partners in MDC were handed more demanding ministries such as Finance, Health and Public Service. Madzorera feels the period was still good enough for government to manage delicate matters like remuneration for its restless workforce. "Things have deteriorated a lot," he said. "We made a lot of gains since 2009 during the time of the inclusive government. We had a lot of international support." He added, "The Zimbabwean government was committed to financing health care. Our contribution was very small. It was through the goodwill of the international community. "We had lots of funders and programs. We saw health personnel who had left the country coming back. We had decent levels of staffing. "However, things have now gone down without any sign of improvement under the current government." Madzorera, a medical doctor by profession, said government's failure to meet striking doctors' demands was a betrayal of the country's suffering majority. "People are dying and not getting any services whilst we have a government in place... the government has killed our health care service and the onus is upon them to bring back health care delivery back to its feet." He condemned the Emmerson Mnangagwa led administration for allegedly channelling a lot of resources towards the army and abandoning health of the nation.